We are very happy to say that after 5 months of hard work, a passion to collaborate and connect with our community, and a vision to see it through, these 6 paintings that represent each of the 6 Wards of Guelph, are done! The work is dry, framed and hanging at the Art Gallery of Guelph to be unveiled tomorrow over Culture Days Weekend! We feel pretty proud of these pieces and thankful to have such a supportive community who took part and really got excited about the work. Through our community engagements at Art on the Street, Guelph Farmers Market, John Galt Day, Fourth Friday's at the Guelph Museum, and our demo day in the studio, we were able to have some great conversations about the project, what people love about living in Guelph, and what this project means to the community. We got to see Guelph through the eyes of our community; we were sent snapshots of what made you proud to live in Guelph, what spots hold memories dear to your hearts, and what places make you feel like home. We want to see YourWard! We’re asking community members to think about the places that reside in their memories of Guelph that make them feel proud to live in their ward. We are making this a collaborative project and asking residents who are interested in contributing images to the project to email info@kiamstudio.com or send them via Facebook with your name, email address, photo and Ward number (see below or click HERE for a map to YourWard). Check out our FAQ section below! We will be hosting outreach events to engage with the community and collect a variety of images. We hope to see you at the events listed below, but be sure to follow us on Facebook or Instagram and sign up to our mailing list for the latest info! Q. Who can submit images to the project? A. Anyone who lives in Guelph! We want to get a diverse picture of our city, so the more images and submissions the merrier! Q. What kind of images are you looking for? A. 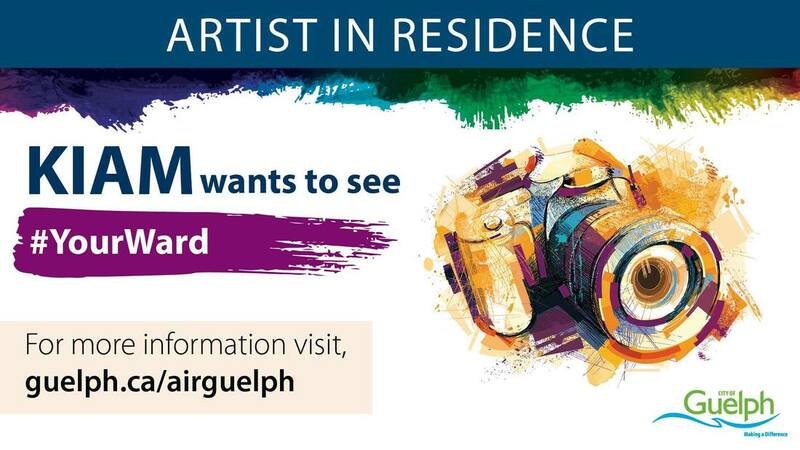 We want images that connect you to the city you live in and make you feel proud to live in Guelph. We have received images of parks, trails, building, houses, kids, meals, gardens, street signs, etc. We want you to use this project as an opportunity to get out in Your Ward and see what is around you and experience your city in a creative way through art making. Q. I am not a photographer, do you still want my images? A. Absolutely! This is not a photography competition or show. Q. How will you be using the images we send in? A. We are using the images and transferring them into the paintings as one of the layers in the final pieces. Some images will be layered over others, recognizable and not, and visible and hidden under other layers of images and paint. The images will also be printed off for each ward, so you can see what images were put into the work and will also be used in the collage activity for the public to participate in over Culture Days Weekend at the Art Gallery of Guelph September 28-30th. Q. 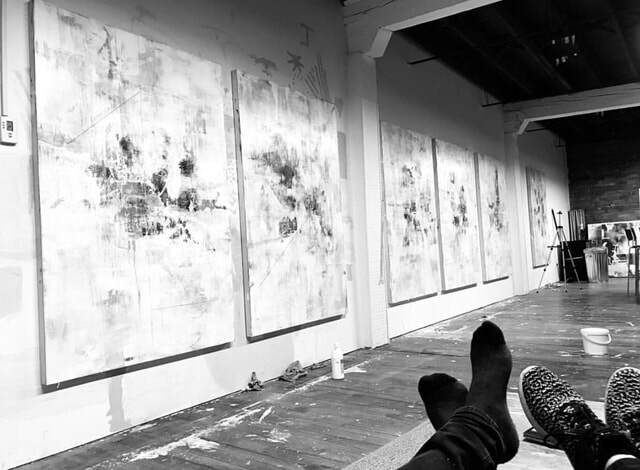 How are you choosing what images will go in the final 6 paintings? A. We are using all images sent in! Any image sent to us will be transferred into the final work. Come see the process on our Open Studio Demo Day September 8th from 2-4pm. Email us at info@kiamstudio.com or message on Facebook or Instagram if you have any questions about the project. We are happy to talk about the work!